The primary focus of the mission. The RB-99-06 (BACPAC 99) cruise was conducted in the North Pacific Ocean between September 14, 1999, and October 23, 1999. 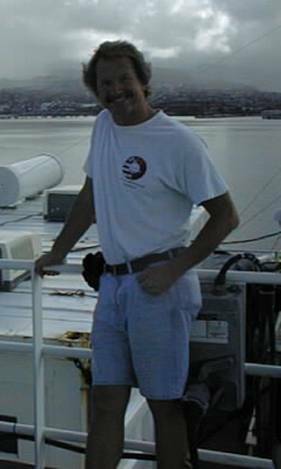 The cruise departed from Kwajalein, Marshall Islands, and ended in Seattle, Washington, with port stops in Oahu, Hawaii, and Dutch Harbor, Alaska. 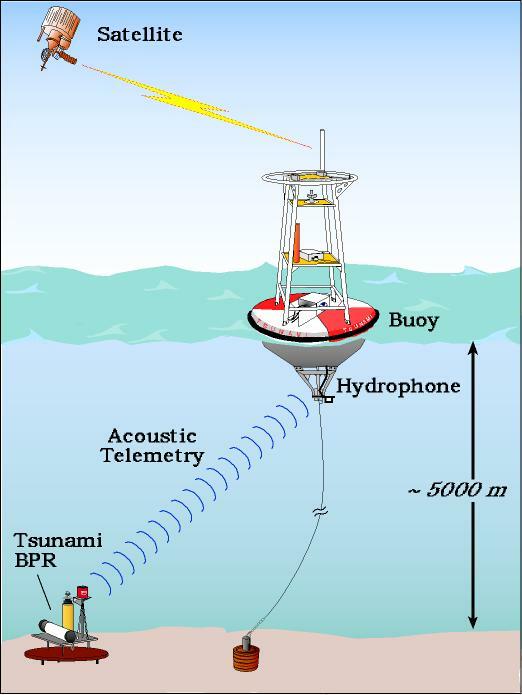 The primary objectives of the cruise were the deployment and recovery of several moorings, including moorings in support of the NOAA Real Time Tsunami Warning system and other buoys that measure various physical and chemical properties. 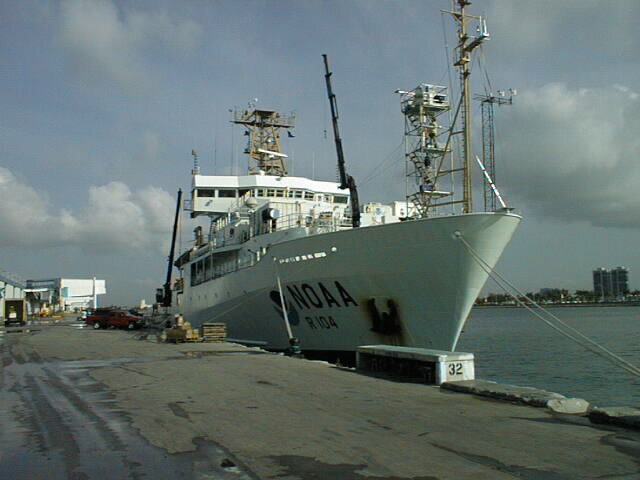 We measured halocarbons concentrations in the air and seawater as a piggyback operation on this cruise. This cruise track did not specifically cross regions where halocarbons had been previously measured. However, the fact that these measurements were made in the fall does complement the summer measurements from the GasEx 98 field campaign. Open ocean methyl bromide undersaturations measured in the North Pacific Ocean are consistent with previous observations, as well as a seasonal cycle in temperate waters. 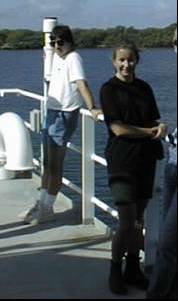 Methyl bromide observations from this cruise are expected to be published in 2002-2003. From left to right: Jim, Dan, and Georgina on the ship. 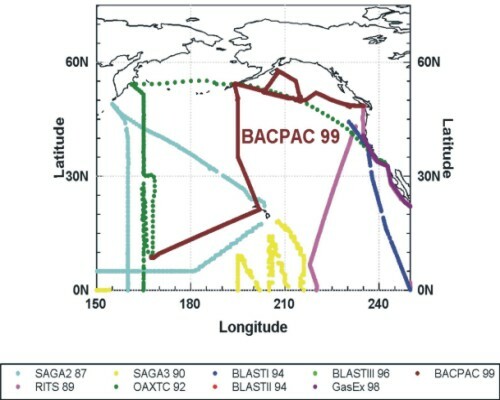 BACPAC 99 is shown in the dark red in the North Pacific, out of Kwajalein, Marshall Islands, and ending in Seattle, Washington, after port stops in Hawaii and Alaska. General position and meteorological data as well as methyl bromide data will be available from our public FTP site.